Summit Industrial is pleased to announce that Cory Sipes has joined our team as Project Manager in the Gulf Coast Region. He will be responsible for both operational & project development activities working out of Summit Industrial’s Houston office. Cory will have responsibilities including project management, estimating, proposal development, and business development. Cory will also be heavily involved in Summit Industrial’s pursuit of more EPC projects from his many years of working with other EPC/engineering firms. 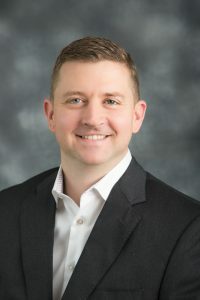 Cory was previously a Project Manager with Trailhead Engineering, BEI Engineers and Audubon Engineering where he managed a wide range of midstream and downstream projects. He is a graduate of Louisiana Tech University with a Bachelor of Science in Mechanical Engineering. « Summit Industrial Welcomes Damon DeFriese!